Our mission is simple: provide a sympathetic ear, emotional & physical support to family members with dealing PTSD in the family. Finding out that you are not the only one affected could provide support during rough times. The support group begins with providing emotional support and relaxation methods to deal with the stressors of everyday life. 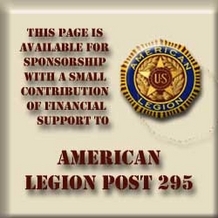 Should the resources be available we will work with veterans to find them the resources they need to survive. Our goal is to coordinate with have the MD Dept of Veterans Affairs to assist those in need with finding assistance. Relaxation techniques can provide some relief when dealing with stress, loneliness and trauma. We will work with area providers to provide instruction on those techniques. Veterans Adminstration Program: PTSD 101 is a web-based curriculum that offers courses related to PTSD and trauma. PTSD 101 is a web-based curriculum that offers courses related to PTSD and trauma. The goal is to develop or enhance practitioner knowledge of trauma and its treatment. Continuing education (CE) credits are available for most courses -- newer courses will offer CEs soon. presented by a faculty of recognized experts in the field of traumatic stress. developed specifically for busy clinicians who provide services to individuals who have experienced trauma. appropriate for both seasoned PTSD professionals and those new to PTSD treatment or military personnel. The days and weeks after a homecoming from war can be filled with excitement, relief, and many other feelings. This guide is for military family members, like you. This guide is also helpful for friends and returning veterans themselves. Following the veterans return from overseas duty, the entire family will go through a transition. This guide will help each of you understand readjustment during homecoming. Reintegration following homecoming involves taking time for the veteran, family and friends to become reacquainted. Talk and listen to one another to restore trust, support and closeness. There may be times when you and your returning veteran feel stress, uncertainty, concern, and distance from one another. It may feel as if the service member is still fighting a war, rather than truly being home. All of these emotions are a normal part of readjustment following deployment to a war zone. At first, these reactions may be difficult to deal with. Some service members have real difficulties and struggle during their transitions back home. Because many service members face redeployment back to overseas duty, it is especially important to address these difficulties during this time back home. Learning more can help your family cope. In this guide you will learn about: What help is available and what it involves a common expectation is that the family will be exactly the same as it was before the deployment. However, during deployment families naturally change. Children have grown and spouses have taken on new responsibilities. New friendships may have formed. War zone exposure is a life changing experience for those deployed. Understanding what you might expect will help with the transition back to civilian life. In this guide you will learn ways to cope better, and if problems arise, ways to find assistance. 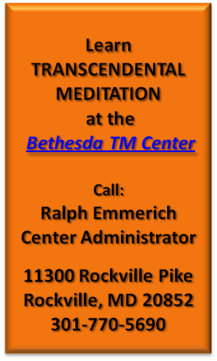 For more information please call (301) 770-5690 or visit Bethesda TM Center. If you have recently been deployed, soon after your return, plan to have an open and honest discussion with your family about responsibili­ties. You all need to decide how they should be split up now that you’re home. It’s usually best to take on a few tasks at first and then more as you grow accus­tomed to being home. Be willing to compromise so that both you and your family members feel your needs are understood and respected.Try to re-establish a normal sleep routine as quickly as possible. Go to bed and get up at the same time every day. Do not drink to help yourself sleep. You might try learning some relaxation techniques, such as deep breathing, yoga, or meditation. Readjusting to civilian life takes time — don’t worry that you’re experiencing some challenges. Find solutions to these problems. Don’t avoid.